Two perfectly matched oval cut emeralds flank the center stone of your choice…this is the symmetrical appeal of Brilliance’s Oval Emerald Gemstone Ring in Palladium. 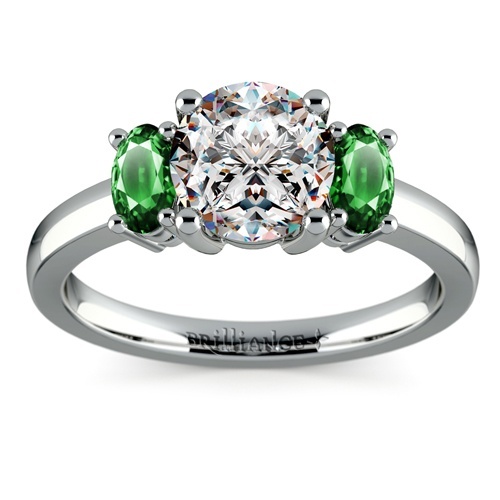 The freshness of the emerald’s green tone complement any diamond cut or shape. The two gemstones alone have a ½ carat total weight. Prong-set on a tarnish-resistant palladium band, this engagement ring is a symphony of gorgeous symmetry and strength.